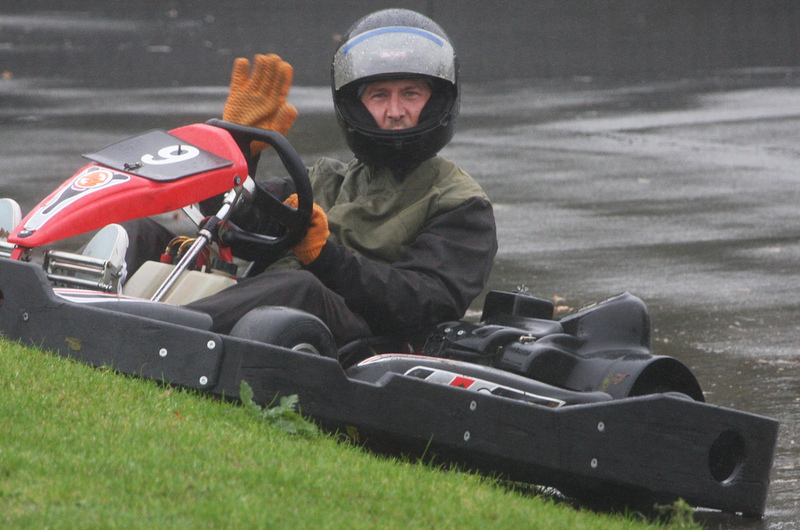 Karting is a great fun day out. 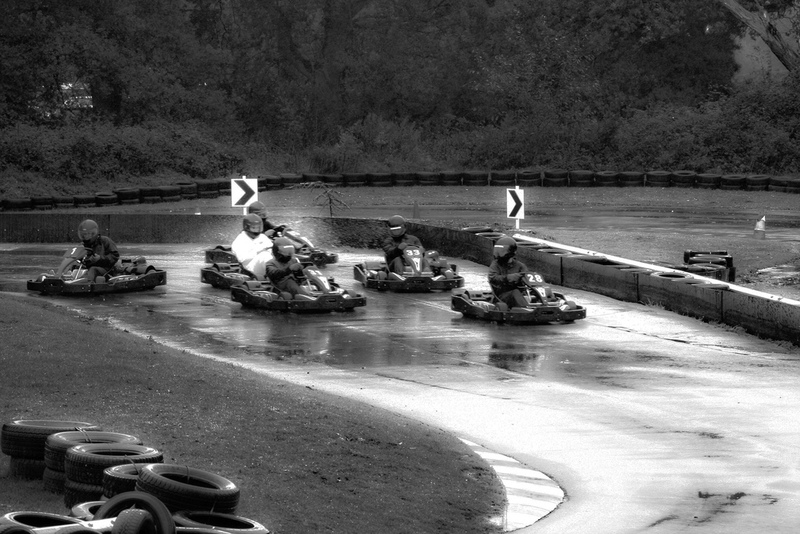 Karting is also the theme for this week’s #FavFotoFriday and once again I thank Sandy of Scribbles and Musings for the inspiration for the series. I did take part in the day’s events and drove in two races. It was exhilarating despite the atrocious weather. At one stage it was touch and go whether the organizers were going to cancel the racing but it went ahead as you can see. Once I had driven in my races I donned my weatherproofs and climbed on to the media platform used by cameramen (and women). I was alone that day so maybe the weather had something to do with that? The waterproofs weren’t just donned by me. It was bucketing with rain and I was using my Canon camera and long lens. So I improvised and placed a clear plastic bag over the lens body with a rubber band ensuring that the bag didn’t cover the lens itself. The first shot above shows just how wet it really was. It took great skills to avoid a skid. Once you lost control of the kart it often ended up facing the wrong way! Just like # 2 in the above picture 🙂 He seems to have ignored the chevron sign pointing him in the right direction! Sometimes the loss of control ended up in you being in places you weren’t supposed to be! The driver in the above shot is not really saying hello. He has followed the marshal’s instructions to the letter, raising his hand to indicate he is unable to drive. This shot of the karting above gives you a feel for the thrill of the racing. The leader in white has established a small gap between him and the rest of the pack. 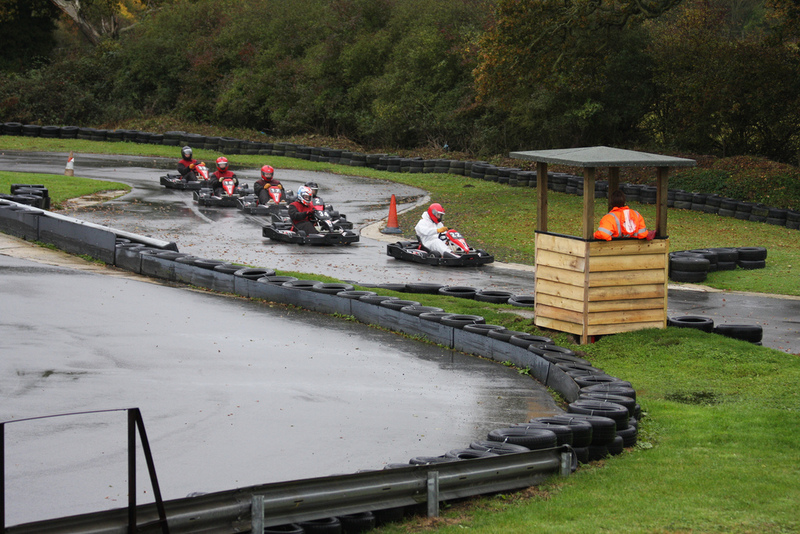 That can soon change in those conditions and anyone of the remaining karts could easily take the lead and go on to cross the line as the winner. LOL I amaze myself sometimes – in the above B&W photo I was clicking (several times) on the arrows in the photo thinking it was a video. It wasn’t until I saw the color photo with the red arrow did I realize why I couldn’t get the video to start 🙂 I guess you can say I have been conditioned by Youtube/Google to perform like Pavlos’ dog. Anyway, karting is fun. And even though it’s not exactly the same as Go Karting I still enjoy Bumper Cars more. Hmmmm, road rage contained? YouTube has a lot to answer for! 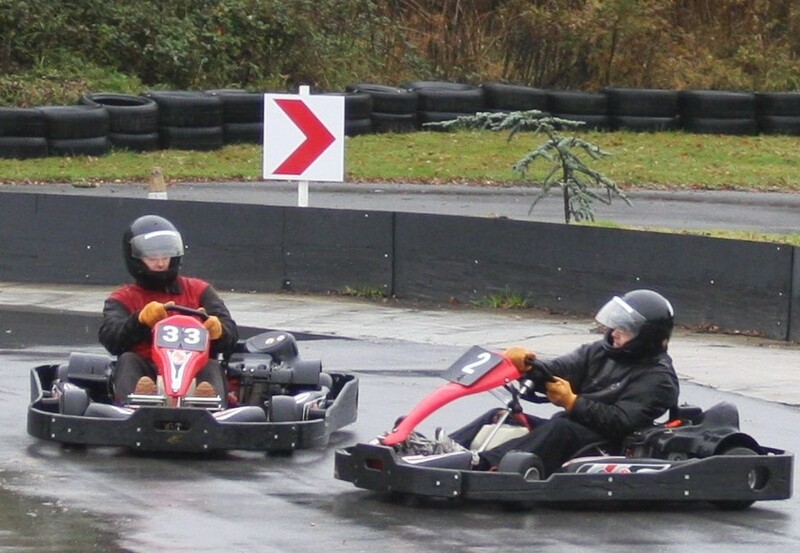 Is there a difference between Go Karting and Karting? Go Karting is the American term – same same.